I am Associate Professor in Crowd Computing with the Department of Software Technology of the Faculty of Electrical Engineering, Mathematics, and Computer Science (EEMCS) of Delft University of Technology. I am member of the Web Information Systems group chaired by Prof. Geert-Jan Houben. I lead the Urban Data Science team at the Amsterdam Institute for Advanced Metropolitan Solutions. I am an active member of the Delft Data Science and the Leiden-Delft-Erasmus BOLD (Big, Open and Linked Data) Cities initiatives. My research lies at the intersection of human computation, user modeling, and web information retrieval. 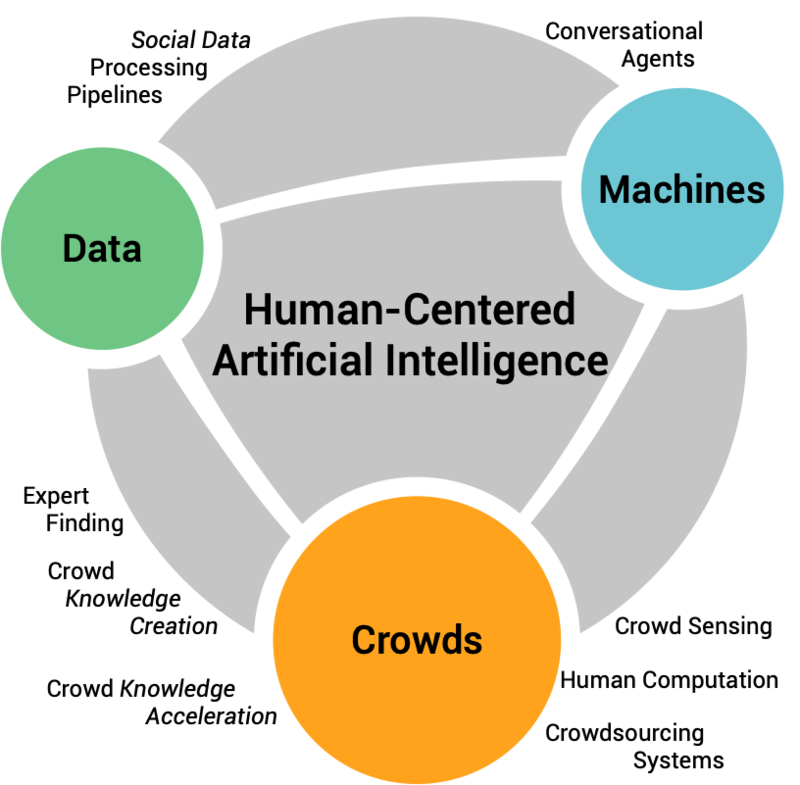 My team and I study and build novel Crowd Computing methods and tools that combine the cognitive and reasoning abilities of individuals and crowds, with the computational powers of machines, and the value of big amounts of heterogeneous data. My work has been supported through funding from TU Delft, AMS, 4TU, NWO, NWA, SurfSara, H2020, EIT Digital, IBM, KPN, Cognizant, and Telecom Italia.